I have a new reader in my house! Hooray! Child #4 is now an emerging reader and her reading ability has started to take off this school year. I cannot supply her with enough books to read. And I LOVE that I’m having this problem. If you have an emerging reader who is ready for some chapter books (but still enjoys some pictures), then here are some fun series for you. 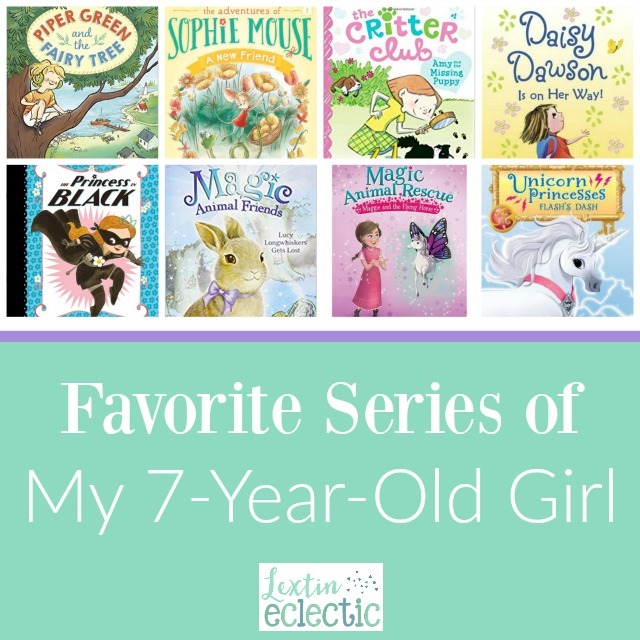 These are a few of the series that are huge hits in my house right now! If you’re needing even more inspiration, check out these fun posts with book lists and thoughts about reading.